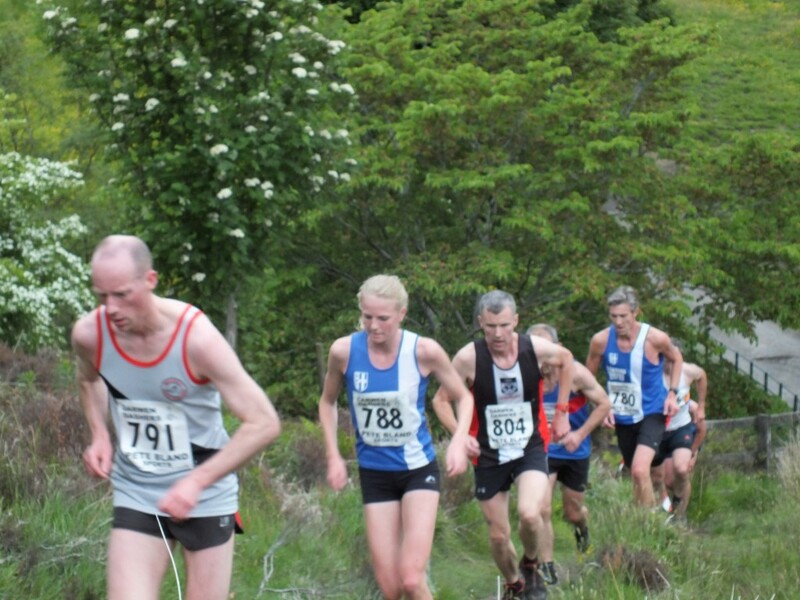 During the Winter, the Club put on the Witton Park Trail Relays which were extremely popular and the athletes who participated in it were so enthused that they asked that we put on a Summer Relay. 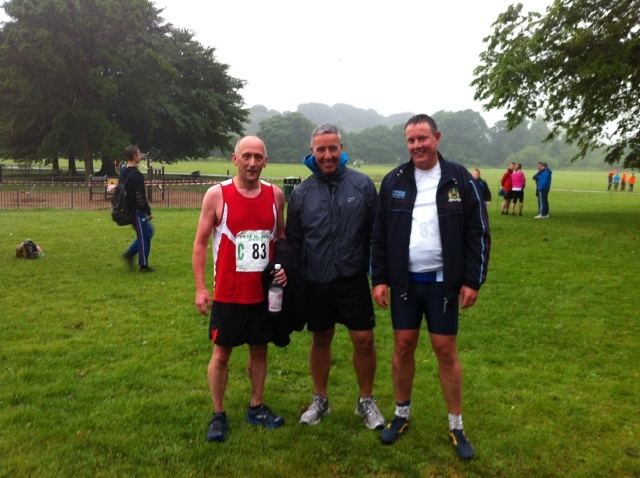 Richard Taylor and Jan Buckingham got stuck into organising it and the sun shone, but sadly on the days leading up to the Race – on Race day it rained, hence the title ‘Summer Witton Park Trail Relay’. 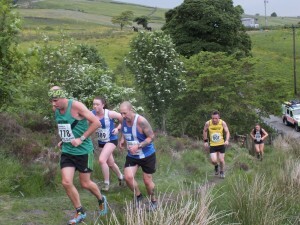 Undaunted, 55 Teams with 3 Runners each entered and it turned out to be a very enjoyable event. 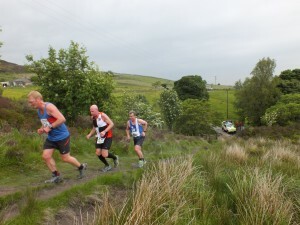 Horwich RMI had the winning Team overall comprising David Jackson, Chris Farrell and Martyn Bell (45.46). First Ladies Team were host Club Blackburn Harriers (Bangor’s & Splash) – 11th overall with Helen Leigh, Beckie Taylor and Sarah Caskey (53.12). The Harriers Junior Girls then backed up the seniors by wining the Junior Women’s Team (Buckingham Pal Lasses) prize with a team of Liz Greenwood, Katie Buckingham and Grace Handley (53.40) and just 1 second behind Clayton ‘A’ Junior Boys. Burnden RR Vets won the Men’s Vet Race (53.33) with Andy Stavely, Keith Thomas and Pete Hopley. Winners of the Junior Boys Team were Pendle AC ‘A’ – 4th overall (48.33) with Matt Dutton, James Marchant and Josh Ingham and the last Team prize – Ladies Vets – went to Chorley Ladies ‘C’ (66.53) represented by Maria Boyle, Alison Parkinson and Anna Maria Crabtree. There were also a number of other Blackburn Harriers Teams competing – “Huey, Dewey & Louie” (aka) Byron Abbott, Thomas Harbour and Jack Wilkinson who were 9th overall (52.13) – “The Torch Bearer’s” (aka) Allan Hartley, Chris Davies and Danny Maynard in 18th (55.10) – “Camp Boys” (aka) John Chaplin, Mark Almond and Michael Nolan in 27th position (56.48) – “Anne’s Golden Girls “ (aka) Megan Clarkson, Natalya Irvine and Hannah Cookson 32nd place (58.40) and one place and 28 seconds in front of the “3 Amigo’s” or to you and me, John Cookson, Paul Wilkinson and John Orrell – “What’s That Coming Over the Hill” (aka) Kelsey Rutherford, Esme Pearse and Georgia Turgoose 47th (68.54) and last but by no means least the wonderfully named “God Loves a Tryer” consisting of Catherine Guinan, Louise McCauley and Lisa Nuttall 51st (72.16). 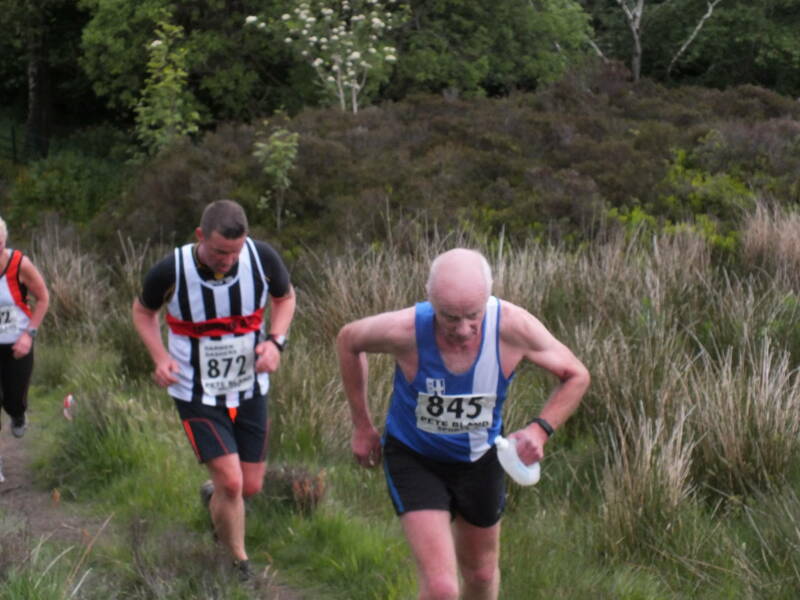 “The Old Farts” – Ian Clarkson; Rob Donaldson and Stephen Irvine – finishing fast in 49th place (69.42) and demanding a transfer on the strength of the performance!! 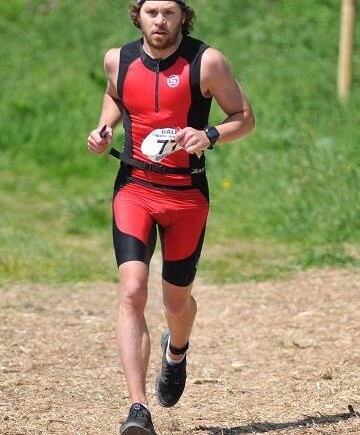 The BALA Middle Distance Triathlon took place on June 9th and featured several Blackburn Harriers among the 265 finishers in the Race which consisted of a 2k Open Water Swim, followed by an 80k Bike Ride and rounded off with a 20k Road Run. 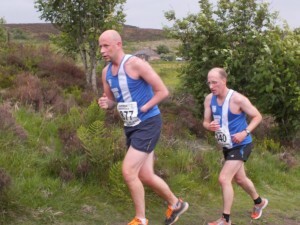 Matt Nuttall and Brian Fogarty were in action again as part of their preparation for forthcoming Iron Man Events. Also competing for the Harriers was Stuart Walpole who Coaches in the Club’s Sportshall Group. 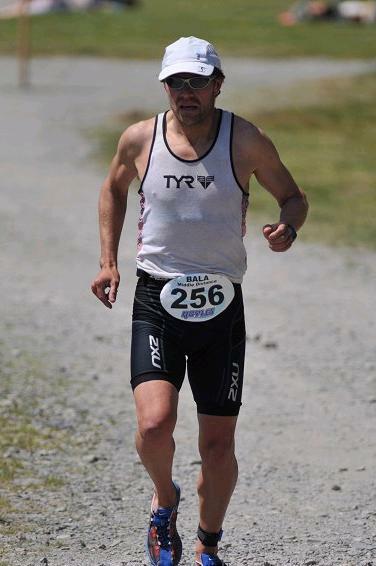 In the event won in a time of 4:06.20, Brian finished 7th overall in 4hrs.16min 23sec with splits of 33min 17sec for the Swim – 2hrs.18.43sec for the Bike section and 1hr.22.22 for the 20k Run. Matt came in 2 places back in 9th position 4hrs.27min 10sec. and his splits were 34min 26sec – 2hrs.27.37 and 1hr.22.54. Stuart placed 88th in 5hrs.17min 20secand splits of 35min.21secs – 2hrs.58.03 and 1hr.38.52. 232 Runners turned up to this race expecting to run close to PB form and maybe faster on the flat course that the Race provides. The wind put paid to those plans. So it was a question of just gritting the teeth and slogging it out. Shaun Livesey won the V35 Category and finished 7th overall in 36.25. 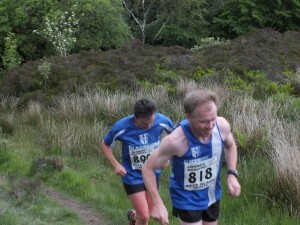 Chris Davies took the 3rd V35 place and 17th overall in 38.29. Just three Harriers out in this one won by by Tesfaye Debele in 24.57. 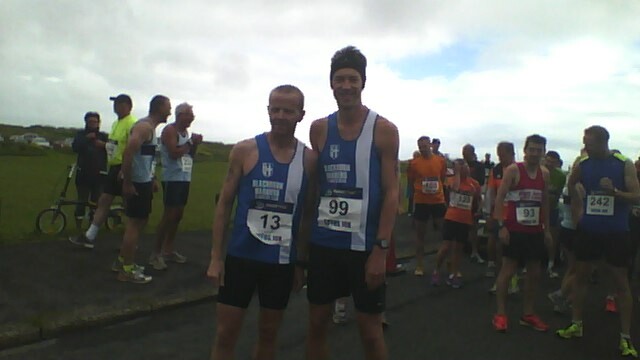 Brian Fogarty, in good form, was first Harrier in 9th (29.14) followed by Allan Hartley 34th (33.16) and Mick Nolan 50th (35.19). 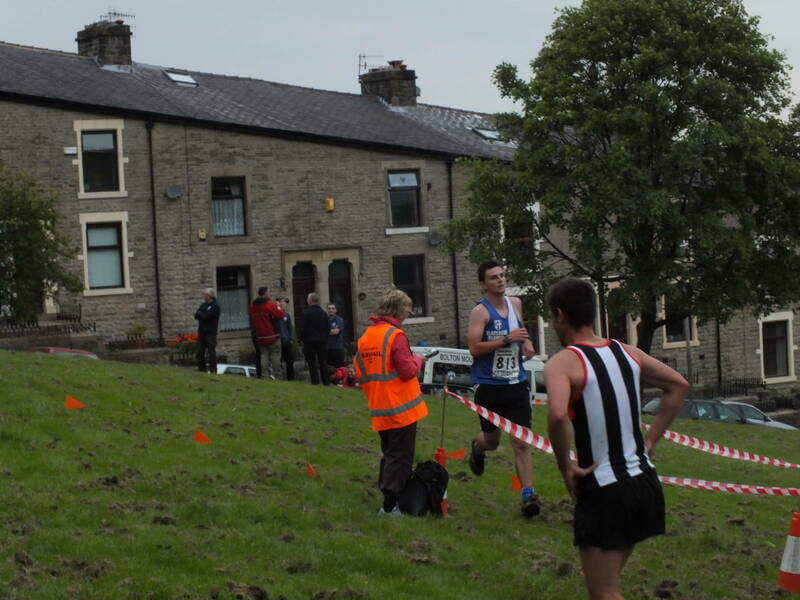 In the Horwich Junior 1 Mile Street Race, Joe Monk had a battle with Nathan Townsed of Horwich for 1st and 2nd. In the end, the Horwich athlete just shaded it with 5:04 with Joe just 3 seconds behind in a really good 5:07. Amy Davies ran – June 18th – for her school (St Peters R C Primary School) in the 700m race after being offered the place as a result of another girl having to drop out with an injury. It was the Blackburn & Darwen Junior Schools Running event.The Race was for Year 6 girls and Amy is only Year 5 but the school found out that Amy could take part in the race. There were 27 schools involved including Amy’s and she and won it which was a fine result. Six Blackburn Harriers represented Lancashire at the ESSA North West Schools Combined Event at Carlisle on June 22/23rd in some pretty dire at times conditions due to the weather. 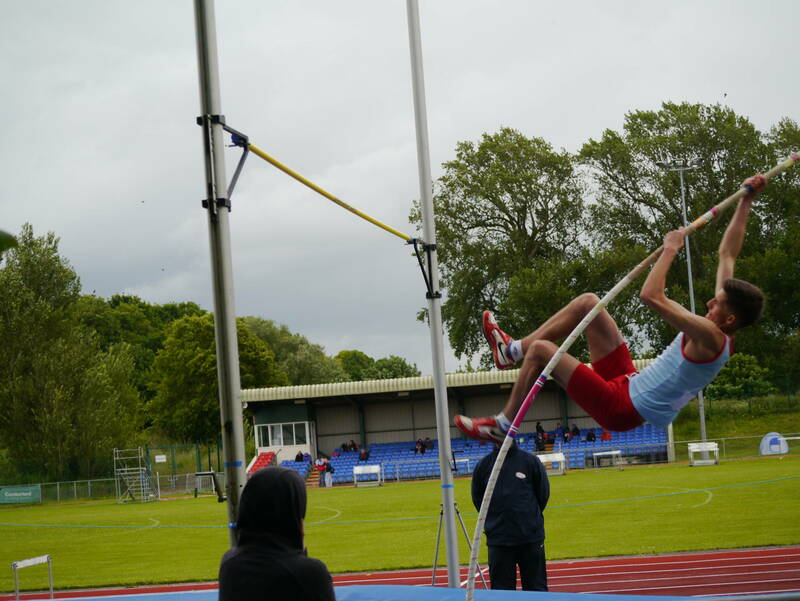 But that didn’t detract from the performances of the athletes who really got stuck and between them produced a tremendous set of 28 PB’s. In the Intermediate Girls Heptathlon Polly Pearse came 2nd with a new PB Points total of 3645 which was previously 3045. In the competition she equalled her PB for the 80m Hurdles and posted new PB’s in Shot; 200m; Long Jump and Javelin. Katie Buckingham finished 6th in the event overall posting a new PB Points total of 3358 (previously 2938) and set new PB’s in 80m Hurdles; High Jump; Shot; Javelin and 800m. 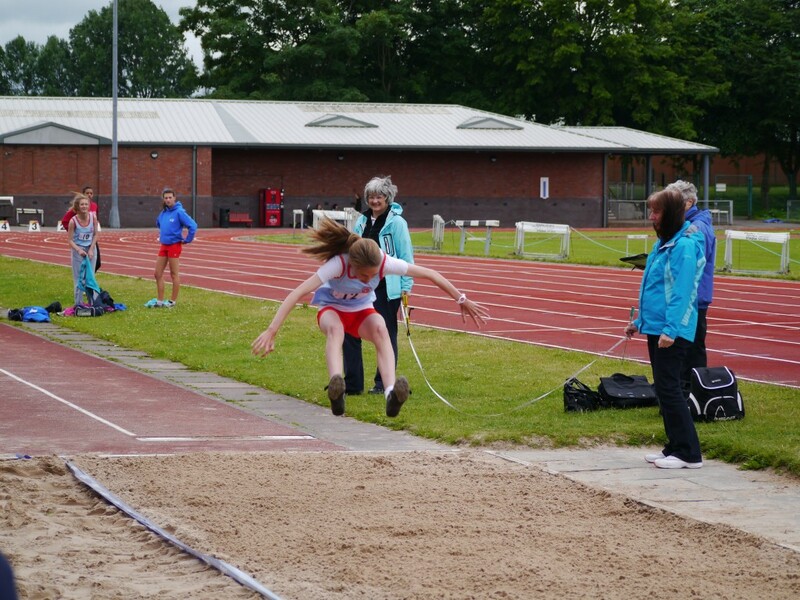 Olivia Brooks continued the impressive performances with a new PB Points total of 2767 (previously 2582) and PB’s in Shot; 200m and Long Jump. In the Junior Girls Pentathlon Morgan Angland maintained the progression of PB’s with a PB Points total of 2218 (previously 2169) and PB’s in Shot and High Jump. 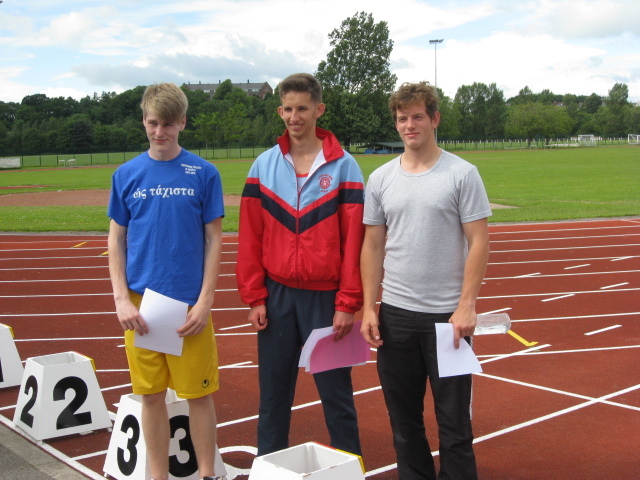 Next up were the Boys with Cameron Massey competing in the Junior Boys Heptathlon. 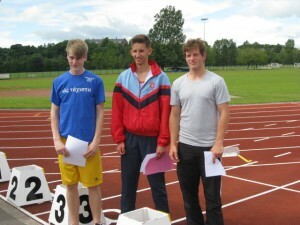 Scoring 1852 Points an improvement of 170 over his previous best, Cameron went on to record PB’s in 80m Hurdles; Shot; High Jump and 800m. Bottom of age U20. 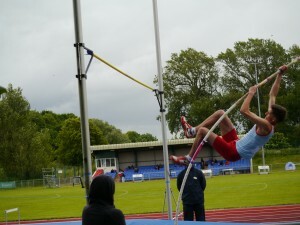 Joe Pearse produced another very fine performance improving his previous best Points Total from 5166 to 5532 and recording another 4 PB’s in Long Jump; 400m; Discus and Pole Vault clearing 3.00m for the first time. 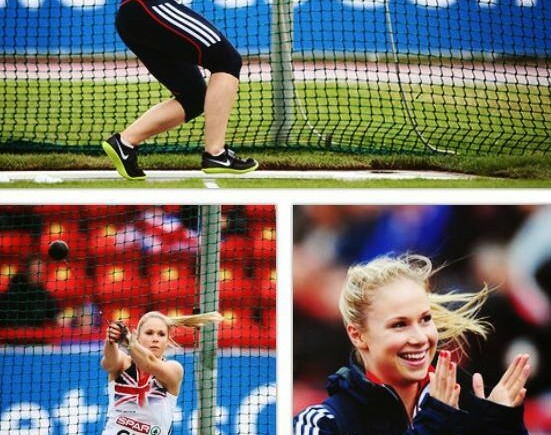 Sophie Hitchon is having a great season – top of the British Rankings for U23 and Senior Women’s Hammer. 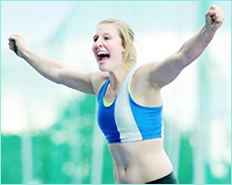 On Saturday at Gateshead, she added a metre to her existing PB and National Record to take 3rd place in the European Team Championships with a Throw of 72.97m. The event was won by Betty Heidler, the world record holder with a Throw of 74.31m. When you realise that Heidler is 8yrs older than Sophie and 8yrs more experienced, it demonstrates what a great performance Sophie’s was. Fourteen Harriers turned up to support this local well established Fell Race on Thursday June 20th. Jack Hindle led the way home with a cracking 3rd place overall in the Race and 1st U18m (29.58) finishing behind Chris Farrell (Horwich) and Danny Hope (Pudsey & Bramley). 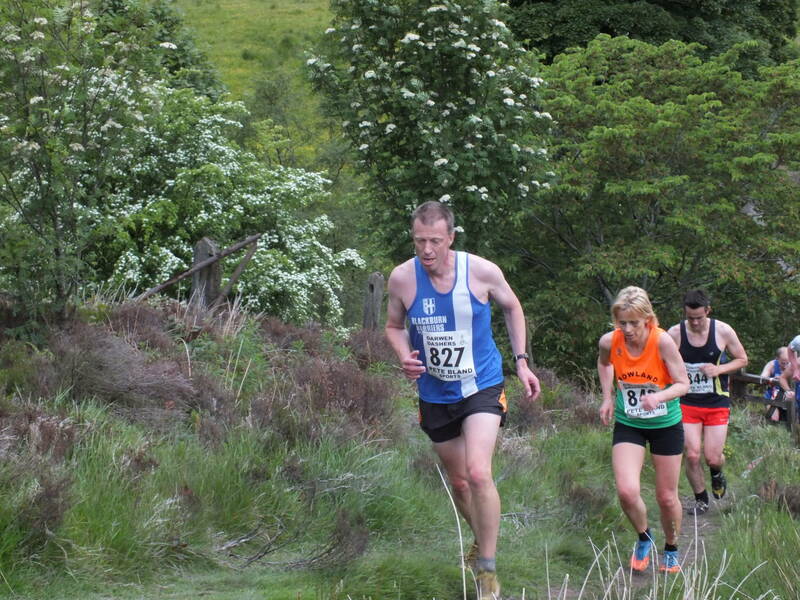 Next home with another good run was Chris Davies in 17th (33.25) followed by Liz Greenwood just 11 seconds behind in 19th (33.36) and also the first female home in the Race which was a great run. 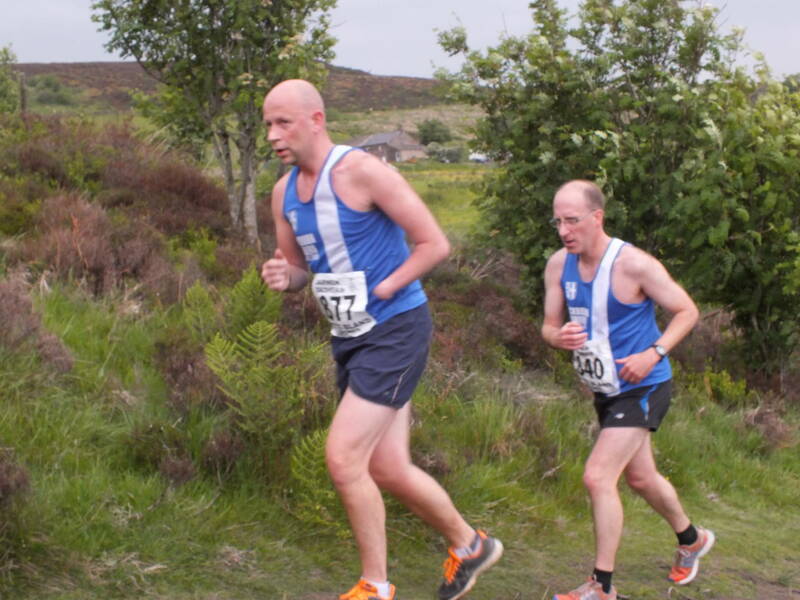 For those who haven’t yet heard about the ‘The Three Amigo’s’ (aka) two John’s and a Paul, they also competed in the Race and all ran PB’s and that was a hat-trick they really enjoyed! In a titanic battle Paul Wilkinson took bragging rights with 72nd place (39.00); John Cookson was 75th (39.10) and John Orrell was 77th (39.15). In front of the Amigo’s were Danny Maynard in 40th place (35.42); Allan Hartley 54th (37.09) and Beckie Taylor 60th (37.50) – also in the Race were Richard Taylor (V40) 83rd (39.45) V60 Stuart Furness 97th (42.00); Jackie Taylor FV40 104th (42.29) and Michael Nolan V50 in 108th (43.16). The day before – June 19th – saw Scott Monk return to racing after a long series of injuries in this local Race. 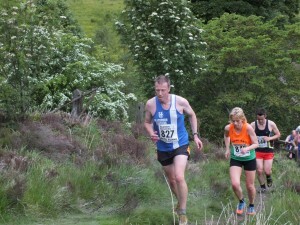 Scott came in 4th (39.26) with Rhiannon Wickham taking 15th place in 44.34 and also winning the Junior Female prize.